(Mvt. 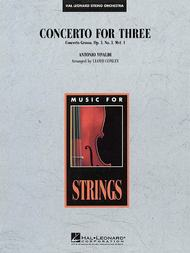 1 of Concerto Grosso, Op.3, No.3). Composed by Antonio Vivaldi (1678-1741). Arranged by Lloyd Conley. Music for String Orchestra. Classical. Softcover. Published by Hal Leonard (HL.4490759). Taken from Concerto Grosso, Op. 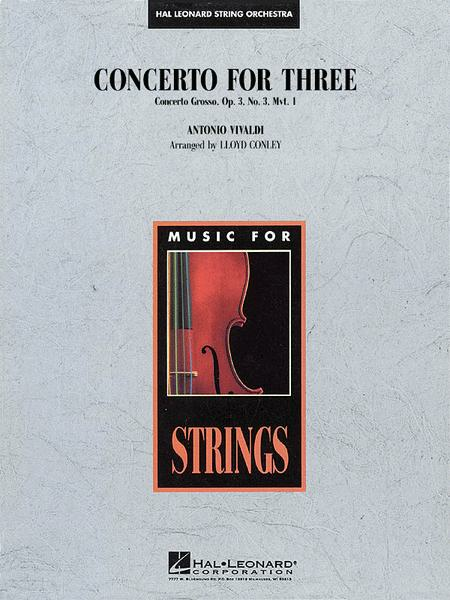 3 (also known as L'estro Armonico, “Harmony of the Soul”) this unique edition offers the opportunity to feature three of your best players (two violins and one viola) as a soli group accompanied by the larger string orchestra. A great opportunity to perform a distinctive Baroque work in a setting that's refreshingly different than the standard string orchestra format. Duration: 2:30.